These boards are made starting with a reinforced EPS core with a fiberglass stringer. Half the deck is reinforced with a wooden layer that improves resistance. The whole deck is covered by a soft and comfortable grooved EVA rubber pad. The edges have been reinforced with high-density EVA. This EVA rubber has been reinforced by a thermoforming process that increases surface density. ASAP technology is a Soft Top with a rigid bottom. Nose and Tail are made of extra impact-resistant EVA. The bottom, made of fiberglass, grants durability and reduced maintenance. A board with ASAP technology by Starboard is recommended for begginers, SUP schools or any other place where the most important factors should be safety and durability. Safe, durable and affordable construction. ASAP technology is a Soft Top with a rigid bottom. 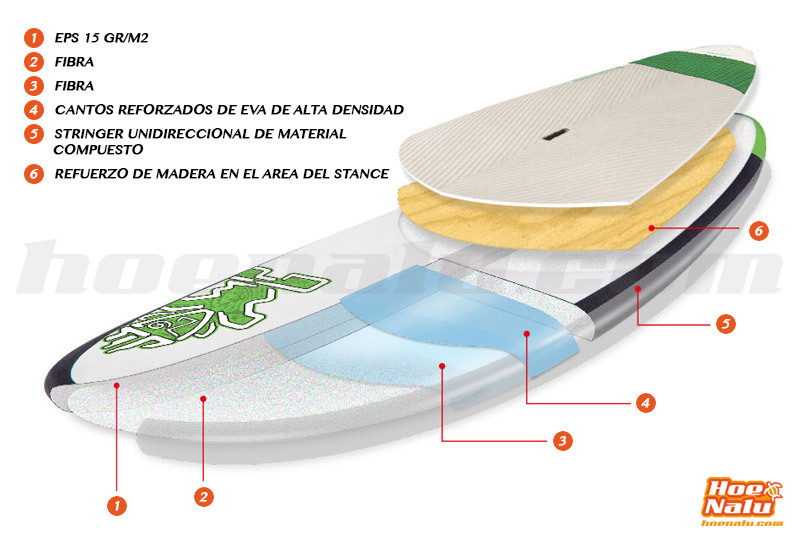 The whole deck is covered by an EVA rubber pad, noting the 4mm width in the stance area and tail for extra grip. Edges, nose and tail are mde of an impact-resistant material. Starboard plastic fins at center and sides.